It’s bedtime on Sunday night, and your teen suddenly let’s out a shocked sigh and announces that she has a paper due in the morning. Sound familiar? Annoyingly familiar? I’ll admit it. Those words are my worst nightmare. I know, because I’ve been dreading hearing them since the day my first child was born, and I hear them way too often. 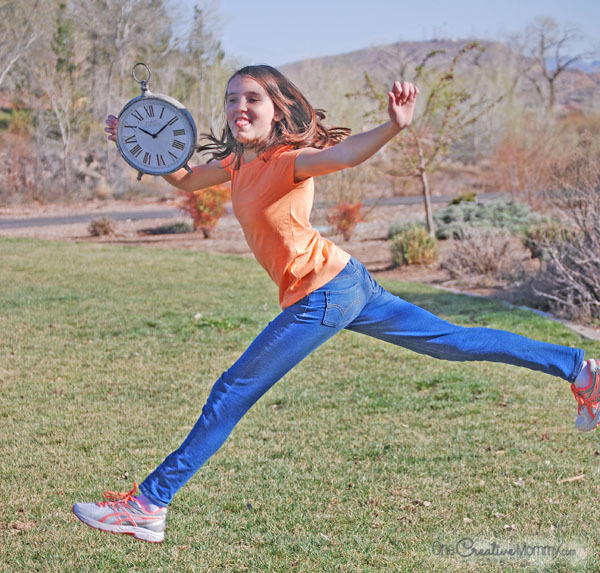 Time management for teens is tough, so let’s see what we can do about it, shall we? This post is meant for teens and parents to read together, so please read it, then grab your teen and talk about it together. The first step in managing procrastination is to recognize how your decisions effect you and other people. Teenagers–guess what? You live with a family, and your choices effect you and the other people in your home. Putting things off negatively effects you. How do you feel physically and emotionally when you have a deadline hanging over your head? Can you relax? Are you happy? It’s natural that deadlines can cause people to feel a bit of stress. It becomes a problem as the deadlines get closer and closer with no progress on the project. Putting things off negatively effects others. You work hard all week, and you have a special relaxing event planned with a friend Friday night. (Maybe it’s a movie, maybe it’s skateboarding–use your imagination.) You look forward to it all week long. Mom needs your help cleaning the garage. She can’t do it without you. There are some things that need to be done that only you can help with. Every time you volunteer to help Mom during the week, she tells you that she doesn’t have time right now. She’s busy cooking, cleaning, or maybe just reading a book for fun. She promises she’ll get to it later. A silly story, I know. But it does make you think. If you need help with the project you are procrastinating, you’re not just hurting yourself by putting it off, you’re also hurting anyone who needs to help you by being selfish with their time. Why do you put off those particular things? 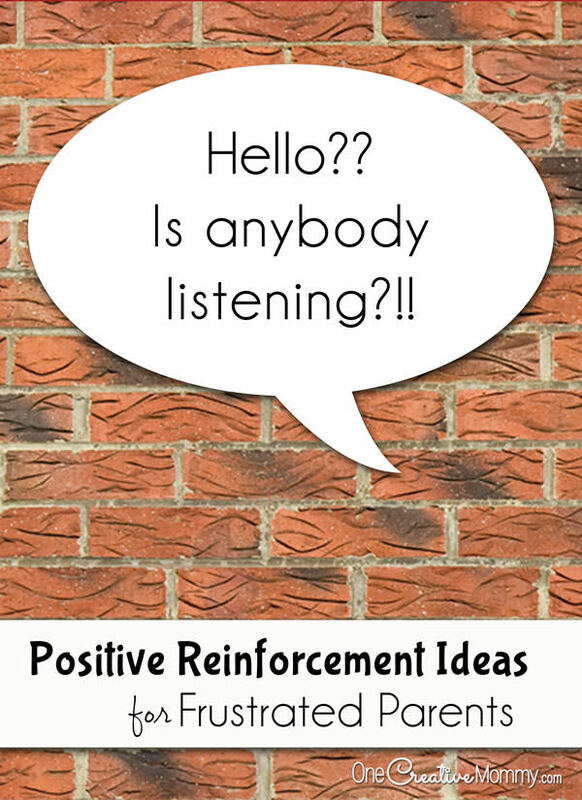 Can you think of anything that helps you focus and your work done? Now, let’s take those answers and find ways for you to manage your time effectively. When you get one of those assignments that you know you are going to procrastinate, plan ahead. Break that big project into lots of smaller projects (chunks), and set a deadline for each small project. You’ll start to see progress on your assignment daily, and the stress you feel from the large project will begin to feel smaller. It’s really helpful to use a planner. You can read all about tips for using a daily school planner here. Choose a parent or a friend who will help you stay on track. Let them know your plan, and check back with them to let them know your progress. When you know that you will be reporting back to someone, it’s a lot more motivating to get the work done. You know what motivates you. If you need to reward yourself for completing each small chunk of the project–do it! If you can hold off and wait for a bigger reward when your project is finished, make a plan to do something fun to celebrate when you’re all done. No kids love to have their parents nagging them about assignments, but that doesn’t mean that you need to be totally hands off. 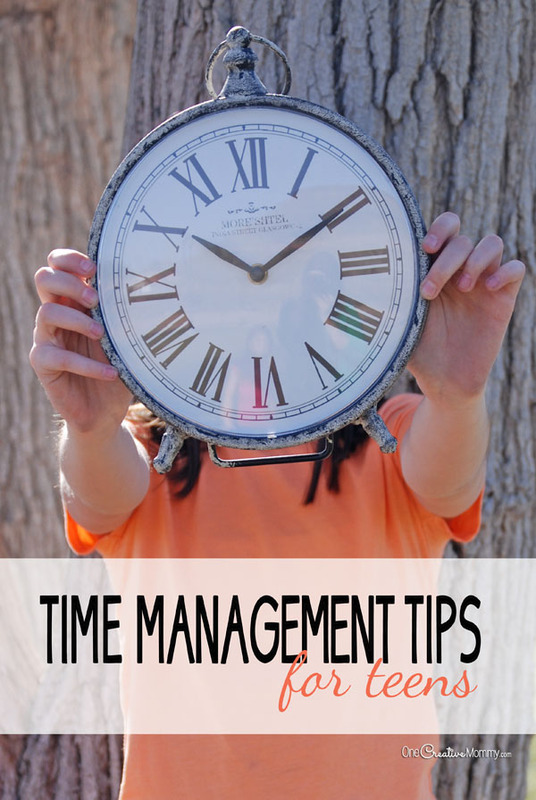 Your teen will probably need a lot of help implementing these time management tips. 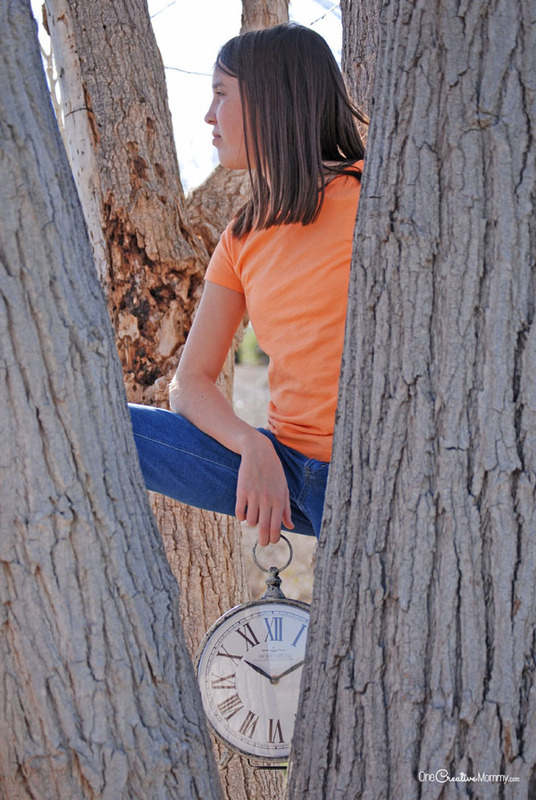 Set aside one day a week to go over your teen’s homework schedule. 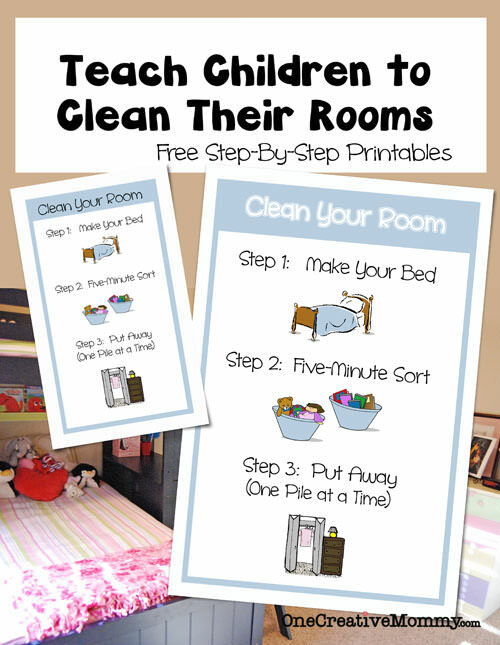 Encourage them to recognize the large assignments that could be broken down into smaller chunks. 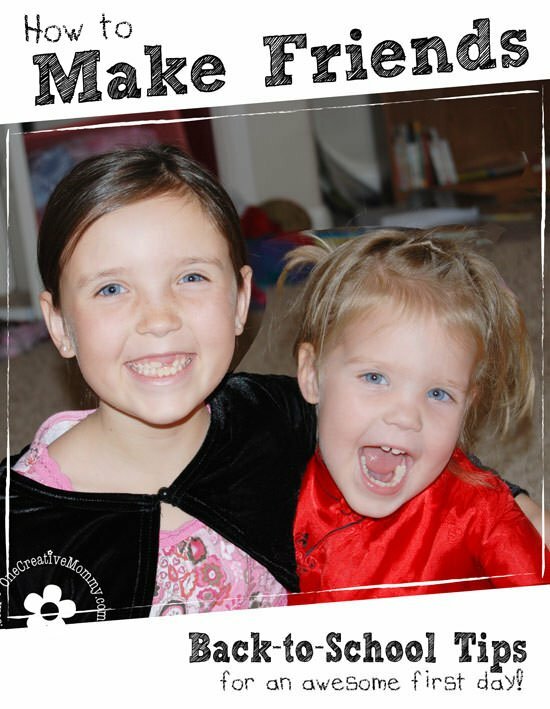 Help them to realistically divide their projects into manageable tasks. The main time management problem in our home stems from writing assignments that were meant to be completed at school suddenly coming home as homework. In your weekly discussions, teach that the same chunking technique used at home can be used at school. If the tasks aren’t getting finished at school, some can be finished at home to keep the teen on track at school. Good luck, and I hope this is helpful! I need to have this discussion with my teen, too. Here’s to fewer last-minute late-night homework help sessions! You’re welcome, Dani. I hope you found some helpful tips. This is an awesome post and came at just the right time. I will definitely be discussing this with my children. Good luck, Darla! I just finally got the courage to step back and let my oldest face the consequences of her procrastination. I usually step in and help, but this time, I gave her the option to stay up and type her paper herself or turn it in a day late. I think she’ll be working harder to take these steps in the future. I’m glad I finally got the courage! In order to understand when to choose affect vs. effect, let’s take a look at each of their meanings. Affect (verb) means to produce a change or influence something. Effect (noun) indicates an event whereby a change has occurred. Lets without an apostrophe is the third-person singular form of the verb let, meaning “to allow or permit”: She lets the dog out every morning. Let’s with an apostrophe is a contraction of “let us,” which is used in all varieties of speech and writing to introduce a suggestion or request: Let us consider all the facts.